There comes a time in every manager’s life that requires them to take disciplinary action. Here’s the breakdown of dealing with the issuing of warnings. There are two words that every employee secretly fears: Disciplinary Action. These two words often cost people their jobs. 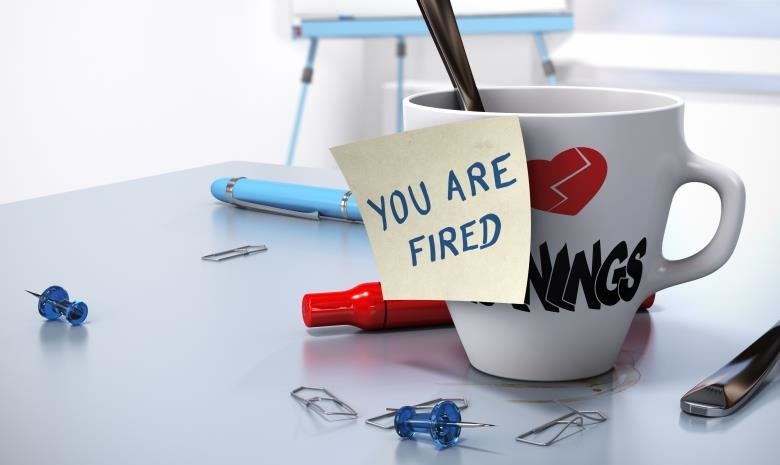 While there are plenty questions around what constitutes the need for a warning, employers and employees alike are sometimes also unaware about the steps legally required before putting through a motion for dismissal. Before we explain the intricacies of how warnings work, it must be noted that certain actions render it possible to dismiss an employee even without prior warnings being issued. This is however, totally dependent on the severity of the offense, the circumstances under which it was committed and the provisions made in the Disciplinary Code of the organisation. It is important to keep in mind that the purpose of issuing a warning is to try and correct a situation. A sanction can range from a verbal warning to a written warning, to a final warning, to a dismissal depending on the type of misconduct and the circumstances under which it occurred. You can progressively increase the severity of a sanction each time only if an employee repeats the same offense or continues to commit offenses, disregarding all previous attempts by the employer to rectify the situation. The contents of and provisions made in the organisation's Disciplinary Code dictates which procedure should be followed with regards to the issuing of warnings. Related: Are you about to be fired? i.e. what happened, and exactly when it happened. i.e. what are the repercussions and for how long are they valid. i.e. what happens if the employee breaks the rules again. This is usually an employee’s first warning. A verbal warning can be issued for a minor offense and you're able to resolve it on the floor. An informal warning like this one means you'll talk to the employee, tell them how they’ve infringed upon company rules and regulations, and ask them to not repeat the offense. Do remember that you first need to consult with the employee to give them an opportunity to explain their actions, before issuing the warning. Verbal warnings require that there be a witness present during the interaction. The employer has to ensure that the employee understands why they are being given a warning, what the employee needs to do to rectify the situation and what the consequences of repeating the infringement will entail. - or if the offense (even if it's a first offense) is considered serious enough to warrant disciplinary action stricter that a verbal warning. You have to follow a fair procedure. This means that after being charged, the employee must have had an opportunity to state their case before you hand over the warning. The written warning must be signed by the employee to indicate the he understands the charges and has received a copy of it. Please note that his/her signature is not necessarily an admission of guilt. If the employee does refuse to sign, make sure that a witness is present when you hand over the piece of paper. The chosen witness has to certify in the employee’s file that the paper was handed over. This step is usually the last resort. It is a result of the employee not taking previous warnings seriously, and continues misbehaving. This warning should not be taken lightly, as the next step is immediate dismissal. Do keep in mind that the final written warning can be used as a first step only if the employee’s infringement is of a serious nature - even if the previous warnings were for different types of misconduct. Again, you have to follow proper procedure. The employee has to sign the final written warning to solidify the fact that he understands and has received it. Ensure that there is a witness in the event that the employee refuses to sign, in which case the witness must indicate in the employee’s file that a copy of the final warning was handed over. The final written warning must clearly explain that the next transgression will result in dismissal. Do include a section that states that even if the final warning expires, he is not safe from being fired if he refuses to stay on the right path. Make it crystal clear that you as employer will not tolerate any further acts of wrongdoing from him/her. At the end of it all, the content of the warning must leave no doubt in the mind of the employee as to where management stands with regards to his misdoings and what the repercussions are if his behaviour doesn’t improve. There are thousands of South Africans that are dying for a chance to give their best to your company. Replace your merely average employees with the superstar employees you can find on Careers24 Recruiter.